The time and effort you put in to get the truth of what’s been going on with the temperature records now and in the past is much appreciated. I hope we get an audit, and the A8 forms. Love it Jen. Keep at them. If you ever need help transcribing data….if they ever release more damming evidence ;-)…I’d be happy to help. Great work Jennifer. Who apart from yourself would you like to be on any independent audit body? Thanks for all your tremendous efforts, Jen. How can a govt that proclaims to be trying to account for unnecessary expenditure NOT agree with what you are requesting? And after that, they need to support a detailed audit of the world’s long term tide gauges to compare vertical movement at those sites. Without these audits we are simply wasting taxpayer’s money and generating fake science. More great work, Jennifer. Thanks again from America. It’s scary the lengths some people/organisations will go to influence government policy settings. It is outrageous misrepresentation at the highest levels with unbelievable consequences!! Great work again Jennifer. We are all behind you and support your argument. Australian science is greatly indebted to you. They’re clearly marking their own homework. Hi Jennifer. I also am prepared to assist with transcription of paper scans. I have moved from disappointment in BOM to exasperation. The problem with BOM is this. The water cooler discussions in BOM are not “how can we improve our data capture?”, it is “how can we persuade people of the perils of global warming?”. The fact that when introduced the Electronic Sensors were reading lower is consistent with a report I saw some years ago. However there were other reports from the Snow measuring sites in the USA that suggested their ones were reading much higher. Is there any way to compare the readings that you have from the forms with the values output by the BOM and used for purposes of calculating the Global average? ps Thanks for hard work. Very well done, Jennifer. I hope you receive the additional information you requested in order to continue the good work. 1. For other countries, is it known if and when there were changes to the temperature reading technologies (e.g. replacing liquid-in-glass with electronic sensors) and over what period the changes were effected? 2. As A.C. Osborn has indicated, it will be important to establish (if such is possible!) whether electronic sensors systematically read higher or lower than liquid-in-glass ones. If it turns out that, say, the temperature difference all depends upon the sensor make/manufacture or something equally difficult to adjust for then it will be very serious for the data sets; it will NOT be possible to compare the later readings with the earlier ones. We will NOT be able to tell warming from cooling over the period of technology change over. Thanks for your efforts to rein in the BOM. There are two questions I would like someone in your position to formally ask the BOM. (1) Why don’t you, the BOM, make all Australian temperature data available to the Australian public? (2) What are you afraid of? Aah, Mildura, – 7th Jan, 1908. Excellent work – keep searching for the truth through logical analysis. Reach out of you need some crowdsourcing to do the analysis. Your link shows 1906 but is still a shocker for a long period of extremely high temps. Great to see them being held to standards of which they are clearly unaware. I pretty much gave up on trusting the BoM after the 2009 Vic fires. Just prior to them we had 4 days of ‘record’ temps above 43ºC. This was trumpeted widely and a max of 47.3º was touted. 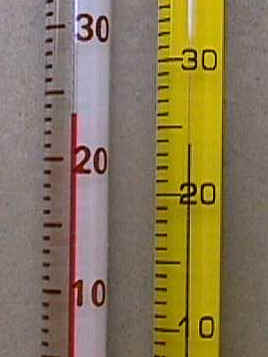 Those 4 days became 3 days with the 1st of them magically transforming to 36.4º – How many of you remember the 4 days? Hacve a look now – they disappeared one of them. Now being a bit of an odd character my first thought was… ‘so there was a hotter day 100 years back and 4 hotter days 105 years back. Of course with all the data fiddling it’s not impossible to check records. He said it as a reason NOT to audit the BoM but I have pro-AGW friends who were immediately suspicious. Trust issues are a reason to DO the audit of them, not to walk away from an area of concern. I like your idea of a petition. But I simply don’t have the time. If you know someone who does, and has some experience at this… and also fundraising? Yes, Wow! And it would be great if you could make an FOI request to the BOM for the parallel data for Melbourne. We need the parallel data for the 38 locations for which this is available. But I don’t know how to get it. The few years for the one location that I am reporting on here… well, it was a lot of effort, and a little luck, getting this. If you could press the issue… perhaps with your local MP? I would really like to be part of an audit group – and thanks for the vote of confidence. The values on the A8 forms (summarized here for three Septembers) can be compared with the CDO values (official Australian ‘raw’ values) and then the UK Met office values, NASA values and so on… because Mildura is one of those locations that is incorporated into the international databases, and most of these are available as individual series. It just takes time to do. At some point I want to write all this up for publication, and then this will probably be done. Yes, sorry, 7th Jan, 1906. What I don’t get is how people accept that putting rubbish and pollutants into the water has a catastrophic effect, yet refuse / fail to acknowledge that putting pollutants into the atmosphere has the same catastrophic effect. End result is that the Jennifers of this world run around sweating the small stuff, claiming a temperature reading here and there is inaccurate while ignoring the big picture. Jennifer, knock yourself out – and go tell the people of air-polluted Beijing or Delhi that someone mistook a temperature reading by a few degrees. Please keep upvrge good work. Please keep up the good work…. Outstanding progress, Jennifer. Kudos to you and your associates. Yes Both of Ian web pages are Temp unavailable! I’d like to know why they just dont use digital cameras and imaging software to read the alcohol and mercury thermometers. Then there would be no reason to make adjustments to make the data comparable….and the time averaging problem is also a non issue. Hi Cloudbase, they don’t because that wouldn’t give the result they want. Accuracy is not the end game, getting results that fit the theory is it. Here’s an uncontaminated data-set that started in 1958 and is much more accurate than all the other surface based data and only shows about 0.1c a decade of warming. What’s not to like and why should we be wasting endless trillions $ on a non problem for a guaranteed zero return? Even the alarmist’s hero Dr Hansen called Paris COP 21 just BS and fra-d, so why should anyone give them the time of day? Thanks to Dr Patrick Michaels and Dr Ryan Maue. Any response from Josh or BoM?